Our vote for makeover hue of the moment: matte black. The bold design choice is also surprisingly versatile, finding a range of expression in elements from furniture to faucets. The Keystone tile collection from Waterworks brings drama to the kitchen. Hygge & West’s two-tone play on a Southwestern textile makes a memorable statement in an entry hall. Black flatware is impossibly chic when paired with traditional china. This refined hardware is a one-stop solution for the small-space minimalist. With design-world golden boy Nate Berkus as artistic advisor, LG Studio’s Black Stainless Steel Series combines functionality with a healthy dose of glamour. Case in point: the Insta-View door-in-door refrigerator ($4,299), shown here, features a glass panel that illuminates its contents like a department-store display case, and the slide-in gas range ($3,199), whose oven interior is enameled in a brilliant blue worthy of Yves Klein. 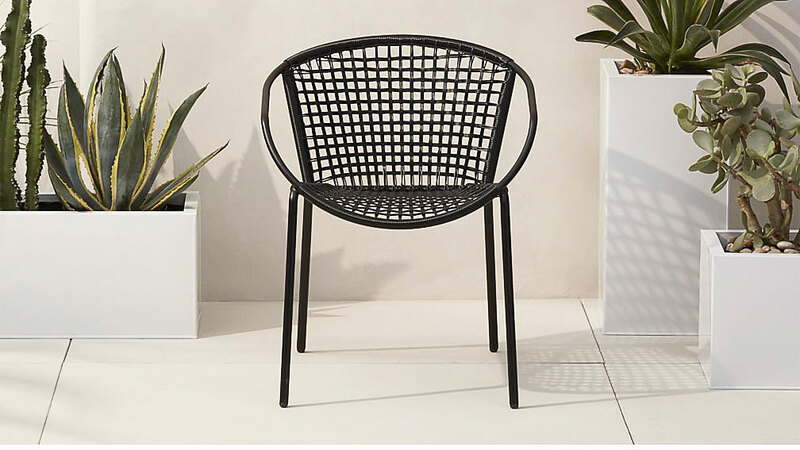 Black rattan helps smooth the transition between late summer and early fall.